This is the Queen Victoria that most of us are probably familiar with – elderly, dour, overweight, always dressed in black. She is mostly a figurehead now with the ruling of the country handled by the Prime Minister and her councilors. She has outlived most of her contemporaries, despises her children (especially Edward, the heir apparent), is in poor health and has few interests. 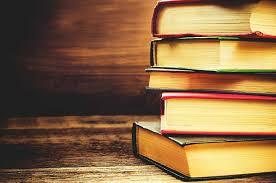 And then, into this dull and tedious existence steps an unexpected bright spot – Abdul. 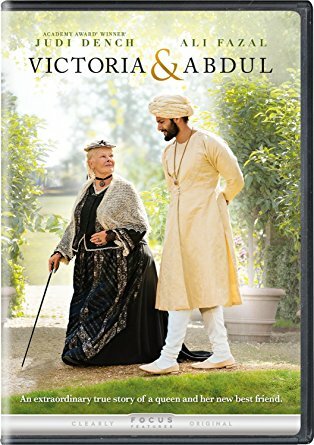 Victoria and Abdul is the story of the unusual (but true) friendship between the Queen of the most powerful country in the world, and a commoner from India. Sent to England to present the Queen with a coin created in honor of her Golden Jubilee (he was chosen because he was tall), Abdul looks past the trappings of the Crown and sees the person. He is optimistic, cheerful and respectful and, when she asks questions about his country and his life, he answers her easily, weaving colorful, poetic pictures of a life very different from her own. Victoria emerges from her shell, delighting in new interests. However, not everyone is happy about the friendship between Victoria and Abdul. There is a lot of racism against Indians in England (there is a great deal of unrest in colonial India resulting in several battles during this time; India did not become independent from England until 1947) and there is a concerted effort to remove Abdul from Victoria’s circle, testing the bonds of loyalty. This is a lovely movie, beautifully acted by Judy Dench and Ali Fazal with gorgeous imagery and costumes. It is also somewhat melancholy; Victoria doesn’t have much to live for at this point in her life – she still misses Albert, who died nearly 40 years before, and everyone around her is basically waiting for her to die. That the one bright spot in her life, Abdul, is discouraged and kept away is very sad. If you’ve been watching Victoria on PBS (which is excellent), it’s also a bit of a shock, the contrast between the young, vibrant and very active young Victoria and the elderly woman she becomes.